The Celebrity Equinox sails out of Charleston. 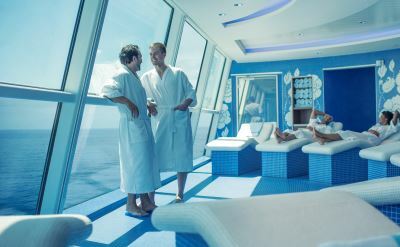 It is a large, modern, luxury ship in the Celebrity Cruises fleet. 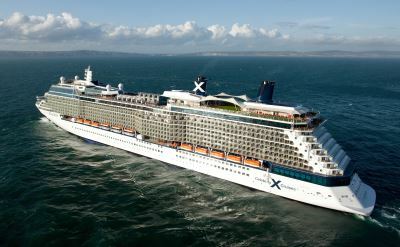 For departures, please see our Celebrity cruises from Charleston. Features include Canyon Ranch SpaClub, fitness center, Persian Garden, and Solarium pool for adults only. 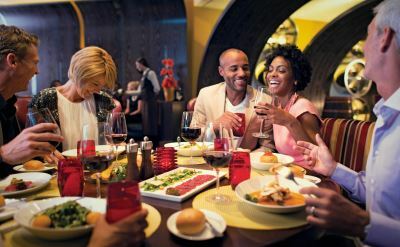 Entertainment options include live performances in Equinox Theater, Quasar dance club, Fortunes Casino, The Lawn Club games, Sky Observation Lounge, Martini Bar, live music in the outdoor Sunset Bar, and comforting Passport Bar. The 10 dining options on the Equinox include the stunning Silhouette Restaurant main dining room, Silk Harvest Restaurant, Oceanview Buffet, Mast Grill, enhanced bar snacks in Gastrobar, and healthy food in Spa Cafe. 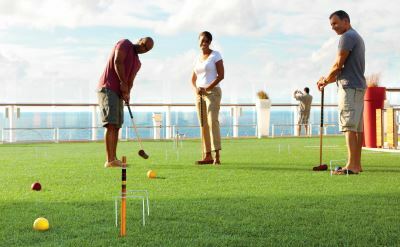 The Celebrity Equinox targets adult travelers, but there are facilities and programs for kids too. ShipMates for ages 3-5, Fun Factory for ages 3-11, and XClub for ages 12-17.